City planners and architects in the world are based on his theory, and most of the big cities have changed because of him. During his visit to Argentina, La Razón spoke exclusively to Jan Gehl, the Danish architect who broke paradigms and redesigned the cities with people in mind. 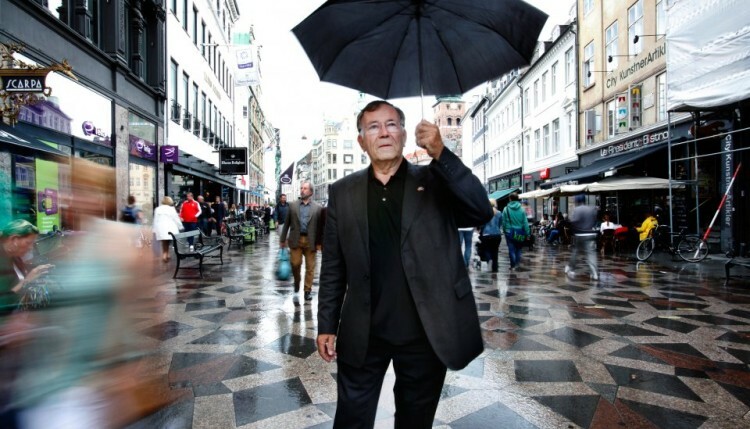 Danish architect Jan Gehl is a scholar of cities. He analyzes them always with the aim of making them more livable and sustainable. What began as an academic research that, with pen and paper -literally- counted the number of people walking around a corner, it transformed over time into a theoretical proposal that ended with books stored in attracting interest among governments and specialists, and changing the paradigm of urban design. Today, cities around the world owe much to Gehl, because they found in his theories the tools to provide friendlier environment for people and the planet. When and why cities have been stopped designed with people in mind? based on the invasion of the car. I went for something different: there is a public space where you have to think on a human scale. Worldwide it has aroused interest in this subject and there was a deep critical of how urban planning aims. If a city is a good place to live, it will be better for my children. It’s not about architecture, it’s about a better interaction between form and life. This is to stop thinking only quantitatively to also think about the quality; to ask: how can we can make better cities for people? How can we achieve this change in attitude? is what doctors tell us: if we continue planning the cities for people to be sitting all day in the cars and offices, we are killing millions of people because they need to move. The new paradigm states that we must make sustainable, healthy and liveable cities. It’s about making cities for people to walk more and cycle more. It is about doing right things for people. On this commitment to sustainability, how does it impact on the economic dimension of cities? Copenhagen was one of the most livable cities and has the happiest population, and Denmark’s economy is not so bad. It has been found that if a person takes the bicycle in Copenhagen to travel one kilometer, the company earns $1.25, and if you take a car to make the same journey, the company lost 0.17 cents. If more people ride bikes, society benefits: there will be fewer accidents, less need for hospital expenses, medical and police; the quality of life of people better. Something as simple as a daily walk time, extends life expectancy. Your theories were applied in several cities worldwide. How was this process? the faculties of architecture was not taught anything about people. We realized that there was an area devoid of study that was hurting the quality of life of people. I began to study this influence and wrote several books, which then spread throughout the world. We began to study and work in the cities because of these books. All research and philosophy were already there. The mayors of the big cities approached and told me: “You can criticize, but please come and help us to do the right thing”. It was a really friendly invitation process that began in a city and then replicated to another. Today we have already had an impact in more than 50 cities. You have worked mainly in cities in the United States, Europe and Australia. Are there differences in the cities of Latin America to implement your proposal? No matter the country, all people want a different city: they want to walk more, they want to ride more. It’s amazing how when one offers them better environment, they begin to enjoy and accept that it is better. Many of the favelas of Brazil are cuter than many of the new towns because the people of the favelas knows his stuff, they build them thinking of people; and some modern architects don’t do that. We must not work seeing the city from a helicopter, we have to plan on a human scale, which is what will allow us to improve the quality of life. This year, the eyes are on climate change and the agreement signed at the Conference of the Parties (cop21) in Paris in December. How important are the cities in the fight against climate change? Most of all problems related to climate change come from the cities, especially large cities of the world, therefore, most of the solutions to climate change must come from them. That is what the group of the world’s major cities is working. All nations should hear the big cities and even, at one point, I can say that large cities are stronger in several of their actions that many of the nations that discuss at the conferences. Ghel is arquitector and Professor of Urban Design at the Royal Danish Academy of Fine Arts. He led improvement projects in cities such as Copenhagen, Stockholm, Oslo, Edinburgh, London, Perth, Melbourne, Sydney, New York, Moscow and Shanghai, among others. His most prominent book, translated into more than 20 languages, is “Cities for people”. Meet more about his projects and presentations in Gehl Architects. “Jan has been an inspiration in everything we’ve done. Along with David Sim (creative director of Gehl Architects) we have promoted seminars to promote his theory and apply policies on bicycles and public transport” says Guillermo Dietrich, Undersecretary of Transportation of Buenos Aires government and states: “The change in Copenhagen was the result of a process of 50 years, Buenos Aires has just begun eight years ago. We must continue to deepen these policies to a more livable city for the people”.